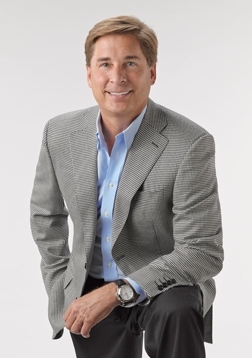 Scott Patterson has been active selling real estate in the Harbor Islands community since its inception back in the 1990s, assisting Buyers, Sellers and Homeowners achieve their real estate goals. One of the top producing Realtors® in the nation, Patterson has built a wide-ranging network of loyal local, national and international clients who have benefitted from his personal knowledge of the South Florida real estate market, especially in gated community of Harbor Islands. His knowledge and renowned sales expertise is supported by the global marketing resources of EWM Realty International, a Berkshire Hathaway affiliate that is closely linked to Christies International, Leading Real Estate Companies of the World, Mayfair International Realty, Luxury Portfolio International and Who's Who of Luxury Real Estate. Known for his knowledge, honesty, integrity, and ability to achieve results, Patterson has sold more than $470 million in residential real estate in the twenty years, joining EWM Realty International Chairman's Club as an exceptional top producer. 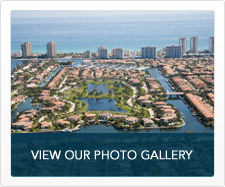 To provide the highest possible level of service to the Harbor Islands community, Patterson draws on his extensive experience in the South Florida's luxury real estate market, including single-family estate homes, luxury condominiums, townhomes and waterfront home sites from Miami to Palm Beach County. As a waterfront resident, Patterson understands the worldwide appeal of Harbor Islands and the attractive South Florida lifestyle. "My goal is to market Harbor Islands locally, nationally and internationally, while providing the finest possible professional services to Buyers and Sellers. By finding exactly the right Harbor Islands property for each potential buyer, my goal is to make a lasting contribution to this vibrant Hollywood Florida waterfront community." 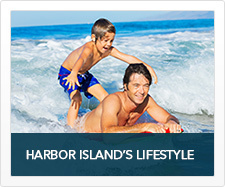 Since acquiring HARBORISLANDS.COM, Scott Patterson has invested significant resources to make this the ultimate real estate information site for the Harbor Islands community and its residents. 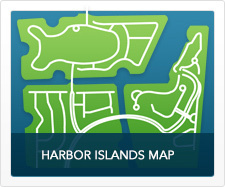 Packed with information on community, events, activities, real estate data, an exclusive one of a kind HD aerial community video, this dynamic site also provides visitors with current real estate sales history, active listings, and plenty of information about Harbor Islands' sub-communities, marina and other amenities. Updated on a regular basis, this is truly the "one-stop" site for everything you want to know about the exclusive community of Harbor Islands in Hollywood Florida.